Aaron Rodgers isn't going to like this. The Packers quarterback, who has a reputation for being so sensitive that he's sensitive about being regarded as sensitive, has drawn on-the-record criticism from multiple former teammates, in the aftermath of the team's decision to replace coach Mike McCarthy with Matt LaFleur. 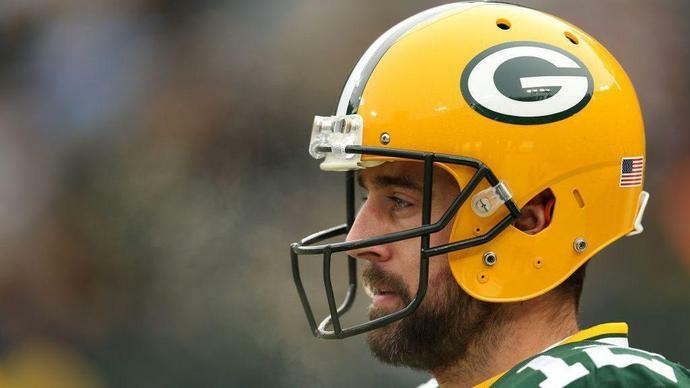 Rob Reischel of Forbes.com has collected the quotes, starting with comments made last week by former Packers tight end Jermichael Finley. "He's coachable to a point," Finley said regarding Rodgers. "Once you try to overcoach him, that's when he's going to do his own thing. With McCarthy, McCarthy used to call a play and Aaron would look at him and [then] it's a whole different play. . . . And we just ran the play that No. 12 called. Sorry. And I think it's going to be a lot worse with a young guy and with where Aaron's at in his career. He's an icon of the NFL." Indeed he is. And the Packers have validated that status by making Rodgers the highest-paid player in the NFL. "[Y]ou just gave this guy $200 million," Finley said. "It's going to be very hard to coach a guy same age, his pay scale is up here and it's going to be hard to tell Aaron what to do." This isn't the first time Finley has called out Rodgers. In 2016, Finley was quoted at length in an article from Tyler Dunne of Bleacher Report regarding the question of whether Rodgers is a leader. Former Packers pass rusher Kabeer Gbaja-Biamila noticed a shift in Rodgers once Rodgers became regarded as a short-list franchise quarterback. "When Aaron became 'The Man,' he was 'The Man', especially in his own eyes," Gbaja-Biamila recently said, via Reischel. "Let's just put it that way. Things just changed. I don't know what to say. I don't want to lie to you. It's hard for me to say this without causing drama. . . . But I will say that between Brett [Favre] and Aaron - and I'm just being honest here so do what you want with this - with everything that Brett accomplished, you would think he'd be a little more arrogant, but he was actually more humble. And I felt that Aaron was a little bit more on the arrogant side. "I would say from the time [Rodgers] arrived to the time he became a starter, I felt that he changed, and it wasn't for the better." For better or worse, LaFleur is the coach. But Rodgers is "The Man." And Rodgers will continue to be "The Man" until the Packers decide as an organization that Rodgers is no longer the guy. It appears the most electrifying man in golf is returning to the states. Ho-sung Choi, whose eccentric swing and demonstrative demeanor turned the Korean golfer into a viral sensation, has accepted a sponsor exemption to play in this year's John Deere Classic. This will mark Choi's second appearance on the PGA Tour this season, making his U.S. debut at the AT&T Pebble Beach Pro-Am.